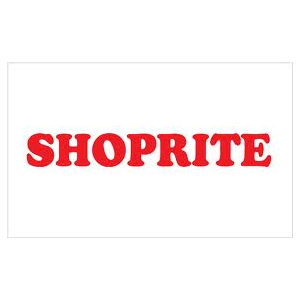 The Shoprite Group of Companies, Africa’s largest food retailer, operates 1525 corporate and 377 franchise outlets in 16 countries across Africa and the Indian Ocean Islands. The Company’s headquarters are situated in the Western Cape province of South Africa. Shoprite Holdings Ltd is a public company listed on the JSE Limited, with secondary listings on both the Namibian and Zambian Stock Exchanges. Its ownership therefore lies in the hands of its shareholders. The Group is continuing its implementation of a strategic expansion programme to maintain its position as the leading food retailer on the continent. Shoprite Holdings Ltd comprises the following entities: the Shoprite Checkers supermarket group, which consists of 479 Shoprite supermarkets; 182 Checkers supermarkets; 30 Checkers Hypers; 320 Usave stores; 282 OK Furniture outlets; 21 OK Power Express stores; 47 House & Home stores; 164 Hungry Lion fast food outlets; 150 MediRite pharmacies and 220 LiquorShops. Its ticketing business, Computicket, operates 826 counters in Group stores and 44 free-standing outlets. Through its OK Franchise Division, the Group procures and distributes stock to 40 OK MiniMark convenience stores; 14 OK Foods supermarkets; 82 OK Grocer stores; 29 Megasave wholesale stores; 37 OK Value stores; 28 Enjoy stores; 60 Sentra stores and buying partners, as well as 77 Friendly supermarkets and 10 Friendly Liquor stores. The Shoprite Group has a broad customer base which closely mirrors the demographic profile of the country and more than 26 million customers shop at the Group’s supermarkets each month. The various store formats within the Group cater for all income groups with the Checkers, Checkers Hyper and House & Home stores focusing on the higher income groups and Shoprite and OK Furniture focusing on the broad middle to lower market. The third supermarket format introduced by the Group, Shoprite Usave, focuses on the lower-end of the market. The primary business of the Shoprite Group of Companies is food retailing to consumers of all income levels. Management’s goal is to provide all communities in Africa with food and household items in a first-world shopping environment, at the Group’s lowest possible prices. At the same time the Group, inextricably linked to Africa, contributes to the nurturing of stable economies and the social upliftment of its people.